There isn’t a single, solitary person I know that likes or can even stand mosquitoes and chances are, neither do you. 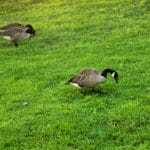 When you’re out on your lawn this season, these little pests are the last things you want hanging around and chasing you back inside. So what can you do about it? Well, the best first step is prevention. 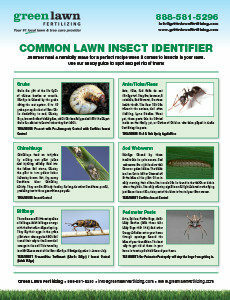 Breeding areas are a major source of mosquitoes on a lawn. When they’re being born and raised on your property, you’re bound to run into them more than if they were just flying through. The next time you get substantial rainfall in your area, take a look around after the rain has stopped and see where the water has collected. These areas are potential breeding grounds for mosquitoes. It can be a trash can without a lid, an upside down frisbee, a bird bath, or even an uneven part of your lawn that allows water to pool; all of these places have the potential to host mosquito eggs and larvae. 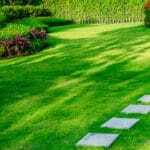 Here are some simple ways to make your lawn less desirable to mosquitoes. Dispose of tin cans, plastic containers, ceramic pots or similar water-holding containers that may have collected on the property. Pay special attention to discarded tires. Stagnant water in tires is where most mosquitoes breed. Have roof gutters cleaned if they have a tendency to get clogged. Roof gutters can produce millions of mosquitoes each season. Turn over wheelbarrows and don’t let water stagnate in birdbaths. Both provide breeding habitats for domestic mosquitoes. Aerate ornamental pools or stock them with fish. Mosquitoes will not lay eggs on running or rippled water; they will drown. 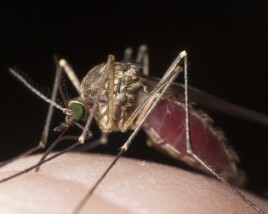 Water gardens can become major mosquito producers though if they’re allowed to stagnate. Clean and chlorinate swimming pools not in use. A swimming pool left unattended by a family on vacation for a month can produce enough mosquitoes to result in neighborhood-wide complaints. Mosquitoes may even breed in the water that collects on pool covers. 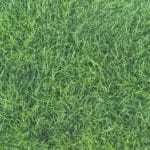 Thin out vegetation around the home if it’s too dense. Level out any soil depressions. Your property can also be treated for mosquitoes to reduce the population. Treatments cover trees, shrubs, foliage, and shaded areas like under decks and eaves. Technicians also check the property for areas where mosquitoes may breed. This is a great way to cut back on the mosquito population but as with any free-flying insect, you can’t guarantee you won’t encounter any on the property. Mosquitoes can fly over areas that have been treated and land directly on you, but when they land in their usual hideouts like in that maple tree in the backyard, that’s when they come into contact with the product. 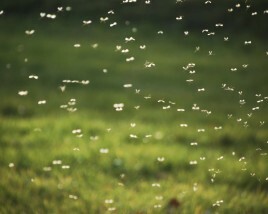 Reducing the amount of mosquitoes will definitely make your time on your lawn much more enjoyable though. Having a few fly onto your property during that barbecue will be much nicer than fending off the 50 that may be hanging out in those trees in the yard!